Caerbryn Welfare Association was formed over 75 years ago holding their first meeting in a red shed (shed goch) colliery building. With a showerful of grant monies in recent years topping £130,000 the surrounding land and red shed site has evolved to become a recreation park with a modern welfare hall. It is packed every day and night of the week with activities ranging from Salsa lessons to bingo. 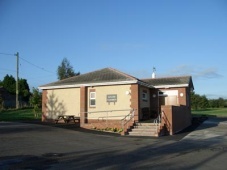 The hall is fully accessible and there is a car park on site. From Ammanford head north on the A483 towards Llandybie. When you get to Llandybie take the left turn at the end of Ammanford Road so you join the B4556. Head south west on the B4556 until you get to Caerbryn. Turn left down Caerbryn Road, which is on a sharp right hand bend on the B4556. The hall is the first building on your right. From Cross Hands head north east towards Gorslas. When in Gorslas take the B4556 until you reach Caerbryn. Turn right down Caerbryn Road. The hall is the first building on your right.